Jon Marcus has a lengthy feature in the Washington Monthly that is in effect a plea for more government funding for universities, especially research, with a focus on Midwest institutions. But university research is in trouble, and so is an economy more dependent on it than many people understand. Federal funding for basic research—more than half of it conducted on university campuses like this one—has effectively declined since 2008, failing to keep pace with inflation. This is before taking into account Trump administration proposals to slash the National Science Foundation (NSF) and National Institutes of Health (NIH) budgets by billions of dollars more. Trump’s cuts would affect all research universities, but not equally. The problem is more pronounced at public universities than private ones, and especially at public institutions in the Midwest, which have historically conducted some of the nation’s most important research. These schools are desperately needed to diversify economies that rely disproportionately on manufacturing and agriculture and lack the wealthy private institutions that fuel the knowledge industries found in Silicon Valley or along Boston’s 128/I-95 corridor. Yet many flagship Midwestern research universities are being weakened by deep state budget cuts. Threats to pensions (in Illinois) and tenure (in Wisconsin) portend an exodus of faculty and their all-important research funding, and have already resulted in a frenzy of poaching by better-funded and higher-paying private institutions, industry, and international competitors. Marcus argues that elite private universities both already get more research dollars and have gigantic endowments that will put them at an advantage in an era of diminished state and federal support, positioning the Midwestern state schools as relative losers in the future. He gets at a real problem. I agree with him on the need for increased STEM funding, the criticality of Midwest universities to their states’ economic futures, and the fact that they are under threat. But unfortunately he misses a lot of very important, and more important, points. 1. The “Superstar Effect.” I’ve been doing a series on how many domains are becoming increasingly subject to superstar economics in which the very top of the pyramid is pulling away from the rest. We see this in everything from venture capital to tennis. Marcus brackets Harvard, MIT, and Stanford with Iowa, Illinois, Ohio State, and Wisconsin. But these are not comparable institutions. The former are superstars, the latter are very good but definitely in a lower league. The heartland suffers because of the “superstar” effect. In today’s world, the spoils often go to the very top of the hierarchy. The heartland is too often good, even very good, but not the best. An exception that proves the rule is Carnegie Mellon University’s computer-science department, which attracted companies like Uber and Google to set up shop in Pittsburgh. The heartland needs to develop more such leading departments in its universities and attract some top talent. To do this, changes in cultural attitudes will be critical. This problem has a money dimension, but it’s not primarily a money problem. (Culture plays a large role in keeping these institutions from rising to the top as well, something I can’t go into right now). The imbalance of funds is as much an effect as a cause. Pouring more federal funds into the current system might in fact fuel greater divergence, not less. And there’s the simple math problem that there can by definition only be a handful of elite programs in any specialty. 2. The state-university divorce is mutual. Marcus brings up the Morrill Act and land-grant universities. Part of the goal of that was to educate the residents of these states in the agricultural and industrial arts. But state universities today increasingly are not interested in educating their own small-town farm boys and the like. They are looking to attract the best students from around the country and the world. This both increases their reputation, and brings in much greater revenue because of the vastly higher tuition paid by out of state students. Foreign students from places like China are now aggressively recruited to universities like Illinois, in part because they are paying very high rack rates with cash. Indiana University, my alma mater, was largely populated with working and middle class Hoosiers and some Chicago suburbanites when I went there. Today it has a much more upscale vibe and has become a destination for East Coast kids who can’t get into the Ivies. (“From Bloomingdale’s to Bloomington” as the Journal once quipped). More than one in five graduate students who worked on sponsored research at eight Big Ten universities studied by Ohio State economist Bruce Weinberg, including Indiana, Michigan, Minnesota, Purdue, and Ohio State, stayed in the state where they attended school—13 percent of them within 50 miles of the campus. That may not sound like a lot—and, indeed, the exodus of highly educated people is a serious problem—but it’s significant when considering that the jobs for these students exist in a national labor market. People with engineering Ph.D.s from Minnesota could take their talents anywhere. If even 20 percent stick around, that’s a big win for states that can’t expect an influx of educated elites from other parts of the country. These graduates provide an educated workforce that employers need, create jobs themselves by starting their own businesses, and pay taxes. But there’s a name for a school whose graduates predominantly stay local: community college. If a large percentage of students are staying in local second tier economic markets, that’s not necessarily a good thing for the institution’s standing. For example, in some fields, schools are ranked in part by the average salary of graduates, something that benefits schools that send grads to the most elite markets. To become superstars, their level of talent export would need to increase, not decrease. This is a structural conflict. In a superstar world, universities are facing pressure from the market to try to move upwards toward MIT and Harvard. But states give them money in part to carry out a local mission of educating the state’s children and producing talent for the local market, activities that tend not to promote elite status. To the extent that state universities want to cater to foreign students, rich East Coast kids, and elite market employers, state governments are right to question whether their funding levels make sense. The Michigan model (mostly private and less public money at an institution that is trying to be elite) or outright conversion into a private school (trading public funds for freedom to pursue elite status) might actually be a painful but realistic solution for some schools. (Note that Ivy League Cornell was a rare private land grand college). 3. Conflation of “universities” with STEM research. The article opens with a description of biomedical research in progress at Ohio State University. But the reality is that the STEM research that leads to spinoff businesses is a small part of what universities do. A lot of schools have seen rapidly rising tuition as they’ve splurged on luxury facilities to attract students. Universities have also seen vast expansions of their administrative staff, who are often very well paid. Many university departments don’t do research at all in terms that the average person would understand it. Significant tracts of the humanities, social sciences, and cultural studies fields are basically political activism in academic garb. These would all be areas that could be cut without affecting a university’s ability to spin off the next high tech startup or cure a disease. They might all be good things to do, but they aren’t entitled to funding on the basis of a STEM research halo. In short, the university needs to be seen in part as a disaggregated set of entities and activities, of which hard STEM fields are only one. Universities themselves are making some of their own choices to fund things other than STEM research. 4. Universities need to be reinvented for the 21st century. Marcus’ article doesn’t mention any reform of universities, merely talks about the threat represented by decreased funding. But in light of all of the above, plus many more things such as the potential for technology to revolutionize teaching, one would think there’s be more focus on how these institutions should be reinventing themselves. He could have, for example, interviewed Purdue University president Mitch Daniels, who somehow managed to get a handle on costs and has frozen tuition since his arrival. He’s also making forays into online learning and even setting up a high school in Indianapolis to try to better prepare minority students to qualify for admission. Some of his ideas might work, others might not. But reinvention needs to be on the table. If the primary purpose of school was education, the Internet should obsolete it. But school is mainly about credentialing. Schools survive anti-educational thinking (e.g., groupthink) due to symbiosis between institutions that issue and accept credentials. Employers looking past traditional credentials can arbitrage the gap. The more meritocracy an industry, the faster it moves past false credentialing, i.e., the MBA and tech startups. A generation of autodidacts, educated by the Internet and leveraged by technology, will eventually starve the industrial-education system. Naval is known for provocative predictions, and admits this won’t happen soon. Who knows if it ever will. The key point is that the legacy university business model is not guaranteed to last forever, any more than anyone else’s legacy model is. The landscape in which our universities operate is changing around them. While I am on board with Marcus with spending more on STEM research, there are a lot bigger problems than government money and threats to tenure in Wisconsin bearing down on the Midwest public university. “If the primary purpose of school was education, the Internet should obsolete it. But school is mainly about credentialing.” I think that this is precisely backwards. If the primary purpose of school was credentialing, then everyone should be going to Western Governor’s University and the University of Phoenix would be an awesome school that did a great job of serving the needs of students. Well, credentialing in the sense that employers use the school and degree conferred to denote quality — or more likely, to create plausible deniability in case that person fails. If someone flops from Harvard, or from Illinois State, guess which one the hiring manager will be forgiven for. That’s also why there’s the “superstar” effect — if the most desirable employers are only hiring from certain schools (and they do), then that harden the credentialing part even more. Also, I would argue that the change of IU, et al, into schools going after high-paying foreign and out-of-state students shouldn’t engender a reaction of state money being cut — it’s BECAUSE state support was cut that they went after those high-paying students. And it’s also because of that need to get on employers’ name-brand credentialing list. Interestingly, my college-age kids (a junior at Ohio U., a freshman at Iowa) were chased after by SEC schools, with Alabama recruiting particularly hard. In the last five years, it’s become almost common to see Alabama gear worn in the Chicago area, and that’s not because the city fell hard for Nick Saban. But then again, Alabama also doesn’t have great support for its university system, and even moreso doesn’t have great support for its overall education system, which is why the school is now chasing after out-of-state kids. All that said, I will argue that universities can and do provide a valuable teaching service. Done right, you can get a wonderful education and great life experiences in some key years of maturation. Part of the problem is that employers, who don’t want to spend a dime training their own employees, are failing to see the value in well-rounded graduates, which is what college can provide. Well, not the good employers, anyway. @rkcookjr – I agree that the chase for out-of-state and international students by a lot of public universities is a *reaction* to continually decreasing funding from state governments (as opposed to the other way around). On a bit of a tangent, it’s interesting that you point out Alabama gear in the Chicago area since it has definitely become a hot school for a lot of suburban students. I’ve been ratcheting up the college financial planning lately despite the fact that my kids won’t be graduating from high school for another decade because we’re a classic “doughnut hole” household: too high of an income to ever qualify for need-based financial aid, but not high enough of an income to pay $50,000-plus tuition checks for two kids at the same time (as I have twins). The Ivy League/Ivy-caliber schools provide great need-based aid for those who qualify, but otherwise don’t provide any merit-based aid for families like mine at all. My goal is to save enough for our in-state public flagship of the University of Illinois (which will still require well over $100,000 in savings for each child) and then our children would need to finance the rest if they want to go to a school more expensive than that. Illinois happens to be my alma mater and I’d be thrilled if my kids ended up going there, but that’s not the reason why I’ve set that financial goal. Instead, it’s just that the ROI on spending $250,000 for anything less than the most elite of the elite private schools that will get your foot in the door at any type of job in America (e.g. Harvard/Yale/Princeton/Stanford/MIT) is simply insane, particularly when Illinois and much of its Big Ten public school brethren have strong engineering and/or business programs that have great employment and salary track records. Regardless, the fears of the cost of college have spurred me to start researching which schools provide strong merit-based aid (e.g. based on high ACT/SAT scores). Now, there are certainly a lot of schools that you’ve never, ever heard of that are on that list. However, there’s one “brand” name (albeit more for football than academics) that stands out as given spectacular merit aid: ALABAMA. Let’s put it this way: most kids that have the stats to get into Illinois would receive a free ride or very close to it at Alabama. If you’re looking at a STEM major or something like accounting (where the Ivy-type prestige doesn’t mean nearly as much) or want to save money to go to grad school, getting free tuition at a place like Alabama is a great deal. Bama might not have the academic bona fides of Michigan, Illinois or Wisconsin (much less Northwestern), but it’s certainly known well enough as a brand name that if you perform well there, you’re not going to be foreclosed from many opportunities other than maybe the Ivy-obsessed industries like investment banking. So, it’s not a surprise that there’s now a critical mass of top tier Chicago area students that would have otherwise gone to Illinois or a neighboring Big Ten school are now heading to Alabama. “Doughnut hole” families like mine might technically be a small percentage of the overall US population, but they make a disproportionately large segment of metro area suburbanites that are the #1 target for virtually any university out there. Anyway, this goes to show you how schools compete for out-of-state students and where Alabama is picking off top tier academic “recruits” these days from places like Chicago and the NYC metro in the same way Nick Saban goes after football recruits. My kids were not only pursued by Alabama, LSU, Mississippi State and Mississippi, but also Alabama held live events in the Chicago area. I’ll be curious how many kids actually stay in Alabama, or the South, but no doubt the school is very aggressive about making itself a national brand in something other than football. The other schools getting more aggressive about recruiting are smaller colleges that are breaking their piggy banks to offer more money, and getting creative in how they recruit. For example, my son, who maybe was in for 10 plays in his high school football career, got “recruited” by multiple Division III (non-athletic scholarship schools). I even got a Father’s Day card from the coach at Hope College. Taking advantage of my status as a youth sports blogger for Forbes, I talked in-depth with the head of admissions at Augustana (Ill.), and found out that the coaches contact 200-300 high schools and ask, “Who on your team has a passion for football and can succeed academically at our school?” And that’s how my son’s name ended up on its recruiting list. The admissions guy said that he could hold out the promise that at other schools you can watch football, but here you can be a part of the team. The other part was that the school gave out enough scholarship money that if it was all given out equally, the out-of-pocket cost would end up at $23,000 a year, or $13,000 less than U of I. My son didn’t go to school there (he wanted someplace with an ROTC program), but we at least came out for a visit. I do think that one of the solutions to the question “are system u’s not serving the people there designed to serve?” is to tier state universities. Every states mentioned has several State u’s. When Ohio State went from open undergrad enrollment to be more selective in the early 2000’s, the goal was to try and be more like U of Michigan. Now they’re not there, but the quality of students had improved markedly. Many people, understandably, were upset, because OSU had historically been the big state school that educated hordes essentially regardless of grades. But Ohio also had 13 other 4 year state universities and numerous other branch and community colleges. I think having one powerhouse system school, in a sense that state’s “superstar” , makes sense. This is the case next door in Pennsylvania as well, except an Ivy is at the top of the heap there, with Penn State, Temple, and Pitt in the “state research university” realm, and the dozen or so former state teachers’ colleges and the PSU branches, plus the HBCU (Cheyney U.) rounding out the state’s public offerings. Really only PA’s private engineering-based universities (CMU, Drexel, Lehigh) have incentive to try and move up the ladder, and then probably only in some subset of the STEM fields as CMU has done. Penn State, Temple, and Pitt will never be able to compete on an even footing with Penn across the board as research universities and they would be foolish to try to stretch their mission that way. Looking at the latest US News rankings, even Michigan hasn’t gotten there…UCLA and UC Berkeley are still the highest-rated state schools, but are rated lower than the usual near-Ivy private “national universities” that have been at the top for a generation or more (Stanford, MIT, Caltech, Chicago, Duke, Northwestern, Notre Dame, etc.). Aside to Frank: I’ve been told that Oklahoma goes after National Merit Scholars pretty aggressively, but I don’t know if that extends to out of state students also. Norman is not an awful place, though it’s a long, hard drive from Chicagoland. Ohio State has indeed made considerable strides over the past two decades with regards to improving the quality of student that makes up its undergraduate enrollment. These days, it’s so competitive just to get into OSU as a Freshman that they’ve started offering up enrollment at their four branch community colleges as a sort of consolation prize for those who don’t qualify outright for admission to the main campus. Meanwhile, of all Ohio’s other universities, the University of Cincinnati seems to have benefitted most from a strategy of positioning itself as a sort of in-state “dark horse” alternative to OSU. In certain respects, it’s taken on the role that OSU once held as far as educating the hordes of Ohio students wanting a school name on their resume with some cachet, though Cincy has no hope of ever achieving parity with OSU so long as it rests within Ohio’s state borders. Truth be told, Ohio probably has too many separate colleges and universities. If the future of Higher Ed looks uncertain with or without transformative changes ahead, it’s far more difficult to envision a future for the universities in the tier below Cincinnati–Akron, Toledo, Wright State, even Kent State and Ohio University. Consolidation has been floated a few times over the years, but nothing has gotten anywhere yet. Are Ohio’s public universities functionally specialized? In Indiana, IU has the professional schools (law, medicine, business) and is more liberal arts focused; Purdue is engineering, ag, and some other technical specialties (pharmacy and some other techish fields, plus a biz school and some liberal arts that aren’t the focus); Ball State had the architecture and design schools; Indiana State was the teacher’s college. For Ohio, Ohio State is IU and Purdue combined, and most of the rest of the schools are more along the lines of Ball State in terms of size and scope. (Cincinnati certainly is bigger and has a med school and whatnot, but it doesn’t seem to compare in-state in prominence.) However, the schools didn’t develop there quite like they did in Indiana, so the lines aren’t as clear-cut between offerings. My son goes to Ohio U., which will remind you it was actually the first public university founded in the state, back when the capital was Chillicothe and the settlement was overwhelmingly in the southern part of the state. Ohio U. has a medical school (DOs, not MDs), a well-known communications and journalism school, and a concentration in education (my son’s major). It also has a great ROTC program (which is what attracted my son) that benefits from 300 acres to play in that came with the former insane asylum near campus that Ohio U. got in the 1970s. In a lot of ways the campuses have regional focuses, so Bowling Green, say, has a large commuter contingent as well as students living on campus. I don’t know about other more regional schools, but Ohio U. is setting freshman enrollment records each year. It’s still overwhelmingly from Ohio, but more out-of-state students are coming, particularly from the Pittsburgh area, which is only three hours away. John Kasich has had a lot of disasters in terms of education — the way charters are handled is a scandal — but he and the Republican legislature have been fairly supportive of public higher education, compared to most states. Perhaps it helps that it’s the rare legislator who doesn’t have a college or extension nearby — that’s a legacy of James Rhodes wanting to put a campus within 30 miles of every Ohioan. Yes, Ohio State is more like Michigan, Illinois or Wisconsin as being more comprehensive. Ohio University also seems to be a comprehensive university. Miami University in Oxford does have more of a vibe where it attracts the types of students that are often interested in Indiana University (more business and liberal arts focused) or more preppy private colleges. I actually think the states of Ohio, Michigan, Indiana and Iowa have a very good cross-section of public universities ranging from comprehensive to more specialized. Putting aside tuition cost (which is obviously huge for the majority of families), another issue with the state of Illinois is that there’s a fairly steep academic ranking drop-off from the University of Illinois flagship to the other public universities in the state — there’s no “number 2” public school in Illinois that’s anywhere near the quality of Michigan State, Iowa State, Purdue or Miami U even though the state of Illinois has a far larger population than its Midwestern neighbors. When you combine the facts that U of I has one of the more expensive in-state tuition rates of any school in the country and it’s increasingly more difficult to get admitted there (especially for engineering and business), it’s not surprising that there are so many Illinois residents going out-of-state to other Midwestern public universities. In essence, there are a lot of “doughnut hole” students in terms of academics in the State of Illinois: students that are rejected by U of I (or don’t get into their preferred program since it’s a school that admits by major) but have much better grades and test scores than what would be required for Illinois State or UIC, Those are the Illinois resident kids that places like Indiana and Iowa enroll en masse. What I remember about Miami was it’s purpose as a school where my fellow Carmel, Ind., High grads could go to brag about being at a school out-of-state when in fact they didn’t want to go far from home, given Miami is literally just over the state line and less than a two hours’ drive Indianapolis. My recollection from growing up in SW Ohio was that Miami University was the most prestigious public university in Ohio, and Ohio State was just another one of the open enrollment public universities in Ohio. Miami indeed has the reputation of being something of a “Midwest Ivy” within the Greater Cincinnati region. Sort of a more prestigious alternative to Cincinnati, or Xavier even. But the most prestigious for all of Ohio? I wouldn’t go nearly so far. In Cleveland/NE Ohio, Case Western carries that distinction, while in Central Ohio, it’s far and away OSU. Cincinnati–both the school and the city–does have a bit of a chip on its shoulder regarding its second-tier status in relation to Columbus and Ohio State, so there’s a bit of a regional identity-based explanation for their downplayed view of OSU. As mentioned, Ohio’s universities are set up to provide generous access to higher ed degree options throught the state, even though there is a pecking order built into the system with OSU as the state flagship. Was it wise for Gov. Rhodes to structure the public system in this way? At the time, Ohio was still the booming heart of the Industrial Belt, and few people thought such times, and the population growth that accompanied them, would come to an end. Truthfully, the state would probably have been better off from a resource allocation standpoint with regional specializations split up between 3 to 5 campuses statewide. Going this route likely would have foreclosed smaller cities and towns of their universities, however, leaving cities like Akron, Youngstown, and Toledo without even the “Eds” in Eds and Meds to fall back on during their darkest days. OSU in Columbus, Cincinnati, and Case Western in Cleveland are all Research One universities, and collectively stand as the strongest candidates for competitive survival within the state in the event of a future contraction of higher ed options, although it should be noted that Case is private, whereas OSU and UC are public. The criticism of the Midwest is that it’s stuck on “good enough,” but I wonder if that can’t be turned into a strategy with colleges, and with their connections with the communities. For example, how can colleges work with their surrounding towns in economic and educational development, up to and including working with banks for microloans so would-be entrepreneurs can start up businesses for the cost of a truck and a lawnmower? I do think Aaron might be underestimating the amount of superstars that can be found at the large Midwest public universities. For instance, the founders of Oracle, Netscape (who then became the top VC in Silicon Valley that ended up funding Facebook and other top tech companies), PayPal, YouTube and Yelp *all* went to the University of Illinois. Bill Gates is on record that Microsoft also hires more graduates from Illinois than any other school. Think of how Chicago and the State of Illinois would be different today if it had simply kept the top tier tech talent that was in its own backyard. Same thing with Detroit and the University of Michigan (where Google’s founders are from). Here’s the thing: in computer science and engineering where jobs are being produced rapidly, schools like Illinois, Michigan, Purdue and Wisconsin *are* the superstar schools much more than the Ivies (besides maybe Cornell). Once you get past Stanford and Berkeley that are local, you see that the biggest alumni groups in Silicon Valley are disproportionately Big Ten schools plus other major public flagships (such as the University of Texas, University of Washington, et. al). The big difference between universities and cities is that cities that attract superstars can expand indefinitely to drive growth, but the number of enrollment spots very top private universities is fixed (which is why they’re considered to be so exclusive in the first place). There are over 40,000 high schools in America, which means that there are over 40,000 valedictorians. The top 20 universities in the US News rankings only have freshman classes of about 1000 to 2000 students, so even if those schools took *only* valedictorians, there still wouldn’t be enough spots for all of them. We’re not even getting to the salutatorians or other highly-ranked students that are superstar students by any definition (and even further, international students beyond the United States). So, there is a big-time trickle down effect in terms of superstar talent populating schools that are much farther down in the rankings or in the minds of the general public. Add in the “doughnut hole” family financial issue that I noted above and it becomes even more prevalent. There are a lot more superstar students that simply aren’t admitted to the Ivy League because it’s literally a crapshoot even if you have perfect scores… and even if you get admitted, you might not be able to afford it. Saying that higher education funding should only be concentrated at the very tippy top private schools is like saying that high school funding should only be concentrated at places like Philips Exeter instead of public high schools. Related to that point, the other thing that makes public universities important is scale. 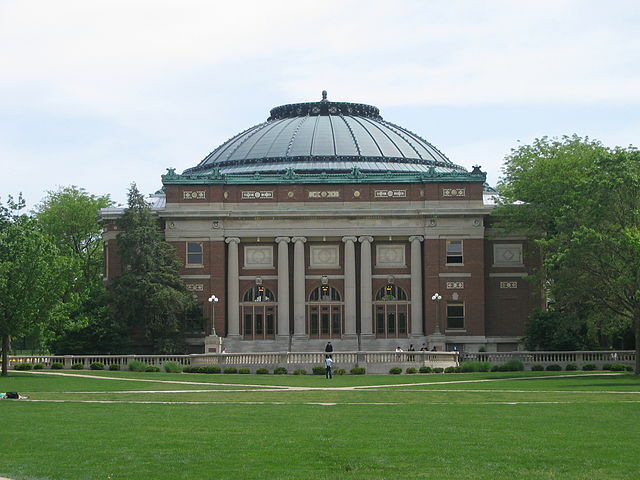 Illinois alone graduates more engineers every year than all of the Ivy League schools combined. Same thing with Michigan, Ohio State, Purdue, Penn State, Wisconsin, Texas, Washington, Berkeley, UCLA, etc. Note that East Coast elitism is generally driven by liberal arts strength (e.g. you can major in English or anything else on a whim at Harvard and still get a job at Goldman Sachs), but that’s ironically counter to the comparative advantage (and in many cases absolute advantage) that many public universities (especially in the Midwest) have in the more quantitative STEM fields. Indeed, the biggest advantage that the Ivies provide is if you *don’t* want to go into a STEM field and instead want to go into a qualitative prestige-driven sector (such as investment banking or top tier management consulting). Otherwise, the top public universities are actually just as strong or stronger than the top private universities in the STEM fields and they have the benefit of scale of churning out many more times the graduates in those areas. So, I think the Wisconsin funding issue example that spurred Aaron’s post is apt – regardless of the number of humanities majors that there still are at Wisconsin, the fact of the matter is that STEM funding changes at a public university like Wisconsin have a significantly bigger impact because it affects more STEM students alone than the *entire* Ivy League. Multiply that by many times across all of the major public universities in the Midwest (like the Ohio State biomedical engineering example). I happen to think the strength of the Big Ten schools is a big advantage that the Midwest has over the Northeast (whose public universities are comparatively weak and why those East Coast kids are flocking to Michigan, Wisconsin and Indiana in the first place) and the future success of the Midwest region is going to be strongly tied to those public universities. We need strong publicly funded research now more than ever and public universities are where it makes sense to fund research. Our universities need to be the best in the world since they are the USA’s single largest competitive advantage. The biggest mistake we make is that we don’t automatically give a green card to every masters/phd graduate who come here from abroad to study. I am scared to death by the war against research and education the GOP have been fighting the last few decades. As its pure magical thinking to believe that the US can maintain its lead through the fickle (and self serving) whims of private industry. Just as it is pure magical thinking that putting trillions of tons of crap in the air couldn’t possibly have any impact. Sure there is some waste in education but it is nothing compared to the scale of military waste and america basically worships the military. Reading a article in the Indianapolis Star stating that the state government is looking for a firm to study toll roads on specific legs of I65,I70 and I94. What a perfect opportunity for a collaboration between the Purdue Engineering school and I.U. Kelley School of business. I suspect you would get fantastic results at 1/3 the cost the state would spend to give it to some politically connected firm to do the study. Not to mention real world experience and results for college students that would help them as they graduate into the work force. This could be duplicated from small municipal to large government projects.